in Porto: the Foz side or the Gaia side. 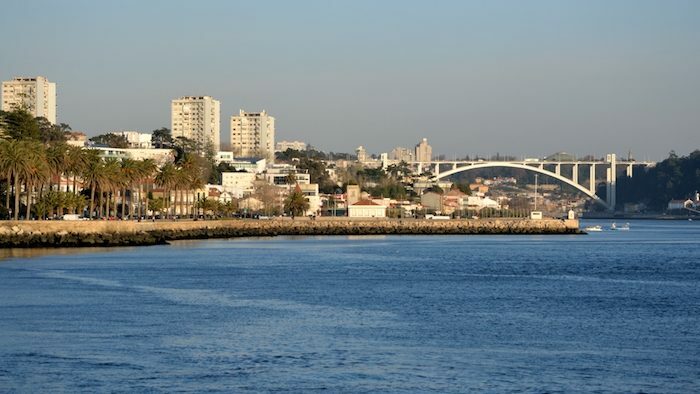 This 6 km one-way run starts at Ribeira, at the Luiz 1 Bridge. Run along the river, heading west toward the ocean. There is a good sidewalk or dedicated path along most of the way. Great views of the water, bridges, and important sites. The run concludes when you reach the piers/beach/fort area at the water. 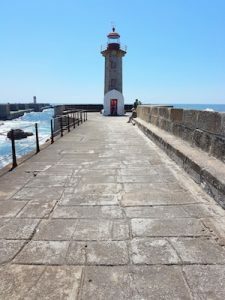 You can add 0.6 km one-way running out the pier to the Farolins da Barra do Douro monument, or 0.5 km one-way to the Felgueiras lighthouse. One cool thing: at the Arrábida Bridge, you can climb up the stairs to the bridge. 2.8 km: Arrábida Bridge ** Porto Bridge Climb!